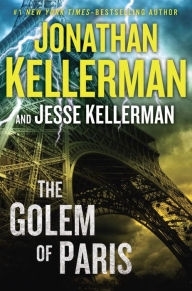 VJ Books Presents Author Jonathan Kellerman! 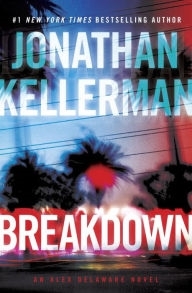 Jonathan's first novel, WHEN THE BOUGH BREAKS, was published to enormous critical and commercial success and became a New York Times bestseller. BOUGH was also produced as a TV movie and won the Edgar Allan Poe and Anthony Boucher Awards for Best First Novel. Since then, Jonathan has published a best-selling crime novel every year, and occasionally, two a year. Though no longer active as a psychotherapist, he is a Clinical Professor of Pediatrics and Psychology at University of Southern California Keck School of Medicine. 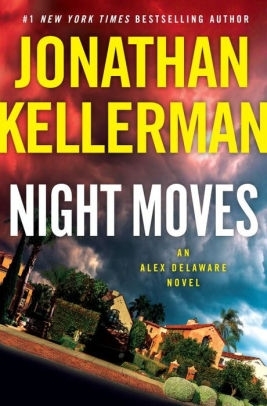 Jonathan is married to bestselling novelist Faye Kellerman and they have four children.. Author Signed Hardcover Book 1994 NY: Bantam First edition, first printing, fine in a fine dust jacket, signed by the author. Each dust jacket is protected in an acid-free archival quality acetate cover. Author Signed UK Hardcover Book. 1994 LON: Little, Brown & Co. First UK edition, first printing, mint/new unread in a flawless dust jacket, signed by the author. Each dust jacket is protected in an acid-free archival quality acetate cover. Author Signed Hardcover Book. October 2008 NY: Random House First edition, first printing, mint, new/unread in a flawless dust jacket, signed by the author. Each dust jacket is protected in an acid-free archival quality acetate cover. Author Signed Hardcover Book. March 2016 NY: Ballantine First edition, first printing, mint, new/unread in a flawless dust jacket, signed by the author. Each dust jacket is protected in an acid-free archival quality acetate cover. 2003 NY: Balantine First edition, first printing, mint, new/unread in a flawless dust jacket. Author Signed Hardcover Book. 2003 NY: Balantine First edition, first printing, mint, new/unread in a flawless dust jacket, signed by the author. Each dust jacket is protected in an acid-free archival quality acetate cover. Author Signed Hardcover Book. March 2008 NY: Random House First edition, first printing, mint, new/unread in a flawless dust jacket, signed by the author. Each dust jacket is protected in an acid-free archival quality acetate cover. Author Signed Hardcover Book. 2003 NY: Random House First edition, first printing, mint, new/unread, flawless dust jacket, signed by author. Each dust jacket is protected in an acid-free archival quality acetate cover. Author Signed Hardcover Book. 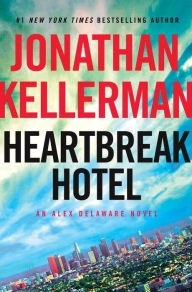 2003 NY: Random House First edition, first printing, near-fine in a near-fine dust jacket, signed by author. Each dust jacket is protected in an acid-free archival quality acetate cover. Author Signed Hardcover Book. March 2010 NY: Random House First edition, first printing, mint, new/unread in a flawless dust jacket, signed by the author. Each dust jacket is protected in an acid-free archival quality acetate cover. Author Signed Hardcover Book. 1993 NY: Bantam NY First edition, first printing, mint, new/unread in a flawless dust jacket, signed by the author. Each dust jacket is protected in an acid-free archival quality acetate cover. Author Signed Hardcover Book. 2000 NY: Random House First edition, first printing, mint, new/unread, flawless dust jacket, signed by author. Each dust jacket is protected in an acid-free archival quality acetate cover. Author Signed Hardcover Book. 2000 NY: Random House First edition, first printing, fine in a fine dust jacket, signed by author. Each dust jacket is protected in an acid-free archival quality acetate cover. Author Signed Hardcover Book. October 2009 NY: Random House First edition, first printing, mint, new/unread in a flawless dust jacket, signed by the author. Each dust jacket is protected in an acid-free archival quality acetate cover. Author Signed Hardcover Book. 2001 NY: Random House First edition, first printing, mint, new/unread in a flawless dust jacket, signed by the author. Each dust jacket is protected in an acid-free archival quality acetate cover. Author Signed Hardcover Book. 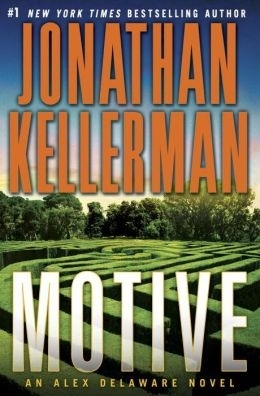 2006 NY:Random House First edition, first printing, mint, new/unread in a flawless dust jacket, signed by the author. Each dust jacket is protected in an acid-free archival quality acetate cover. Author Signed Hardcover Book. 2013 NY: Ballantine First edition, first printing, fine in a fine dust jacket, signed by the author, remainder marked. Each dust jacket is protected in an acid-free archival quality acetate cover. Author Signed Hardcover Book. February 2014 NY: Random House First edition, first printing, mint, new/unread in a flawless dust jacket, signed by the author. Each dust jacket is protected in an acid-free archival quality acetate cover. Author Signed Hardcover Book. 1999 NY: Random House First bookclub edition, mint, new/unread, flawless dust jacket, signed by author. Each dust jacket is protected in an acid-free archival quality acetate cover. Author Signed Hardcover Book. February 2015 NY: Random House First edition, first printing, mint, new/unread in a flawless dust jacket, signed by the author. Each dust jacket is protected in an acid-free archival quality acetate cover. Author Signed Hardcover Book. February 2015 NY: Random House First edition, first printing, fine in a fine dust jacket, signed by the author, remainder marked. Each dust jacket is protected in an acid-free archival quality acetate cover. Author Signed Hardcover Book. 2002 NY: Ballantine First edition, first printing, mint, new/unread, flawless dust jacket, signed by author. Each dust jacket is protected in an acid-free archival quality acetate cover. Author Signed Hardcover Book. 2002 NY: Ballantine First edition, first printing, fine in a fine dust jacket, signed by author. Each dust jacket is protected in an acid-free archival quality acetate cover. When The Bough Breaks - 1985) - This novel was originally named "Shrunken Heads.